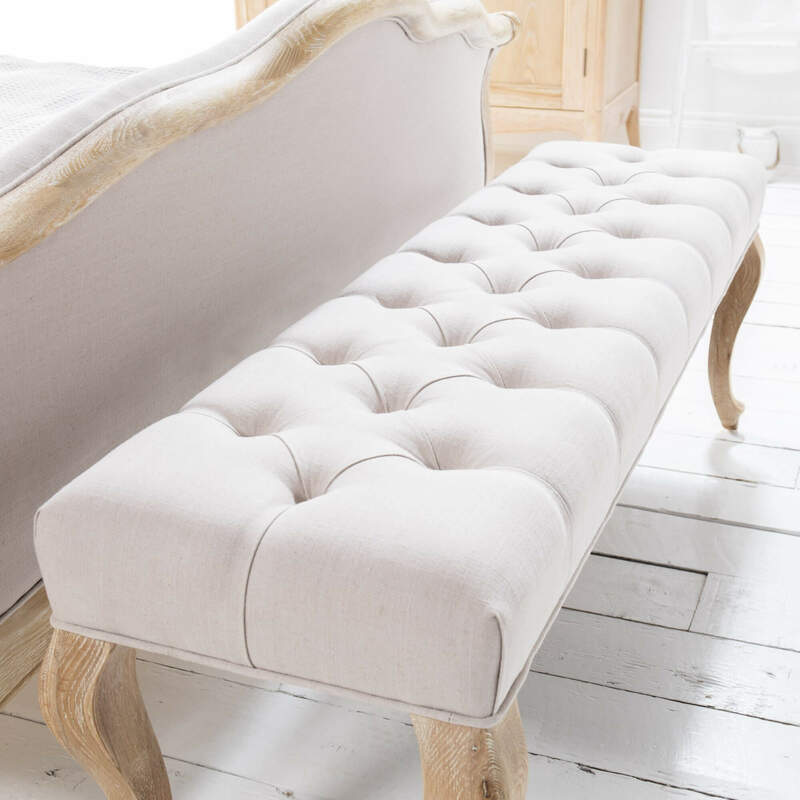 Whether you are looking for something to help you take in the view from your bedroom window or at the foot of one of our French upholstered carved beds. 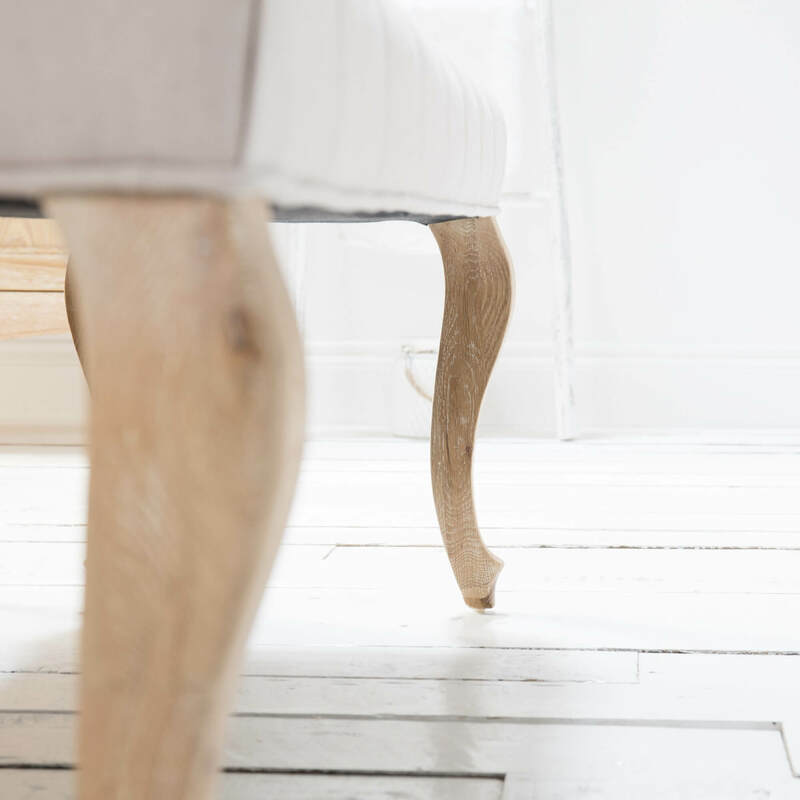 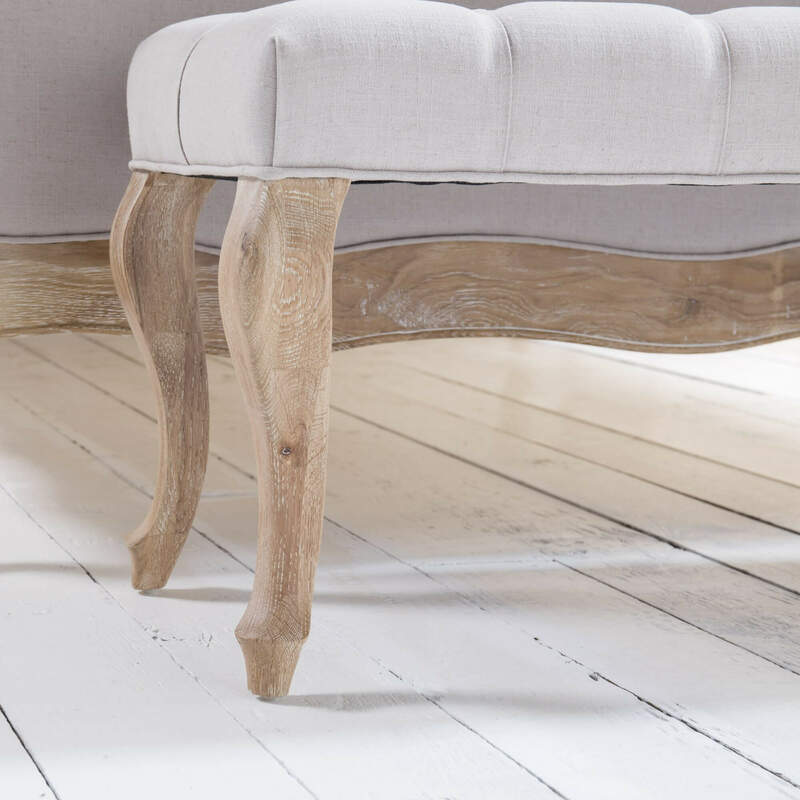 This luxurious piece of furniture is made from solid North American Oak and finished in a weathered white wash finish. 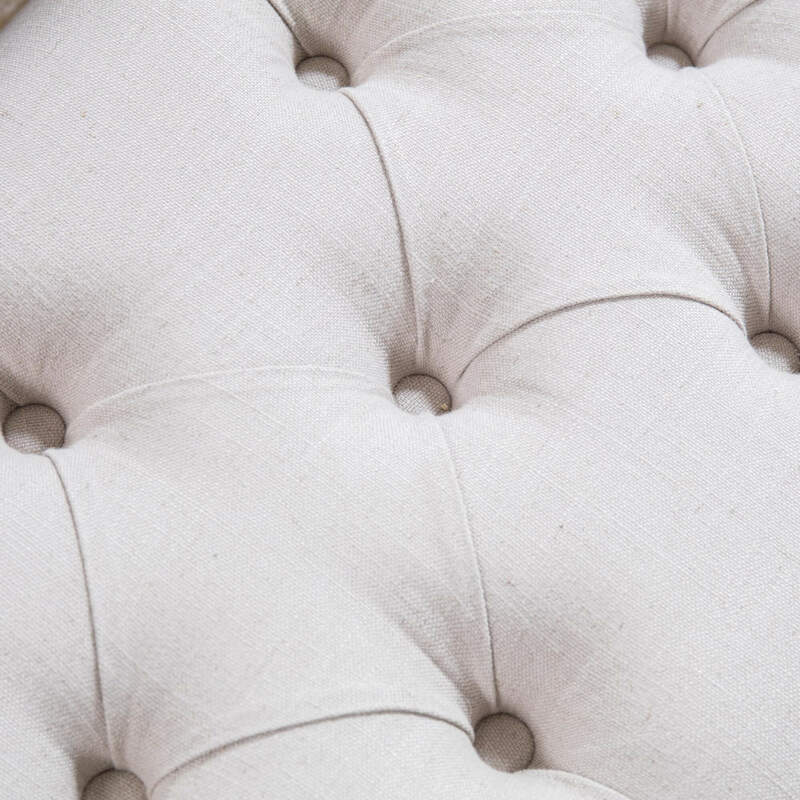 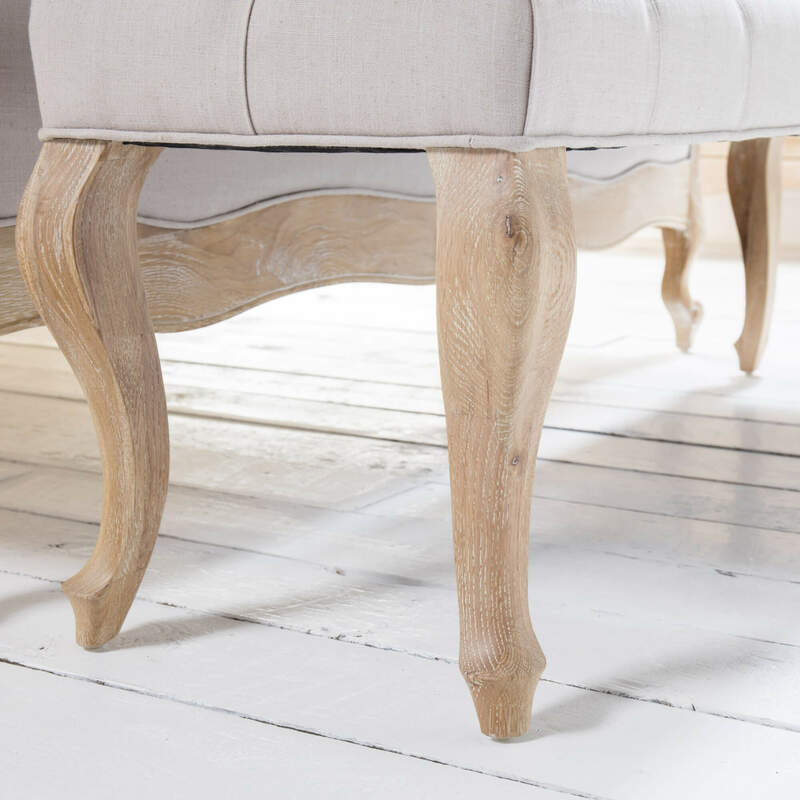 The deep button upholstered seat pad sits above four cabriole carved legs.